The new renovations for the DAR Museum Gallery have split it into two parts: the main gallery (featuring an annually rotating exhibit) and the study gallery. The study gallery is an exciting addition that allows us to expand what we offer to the public. 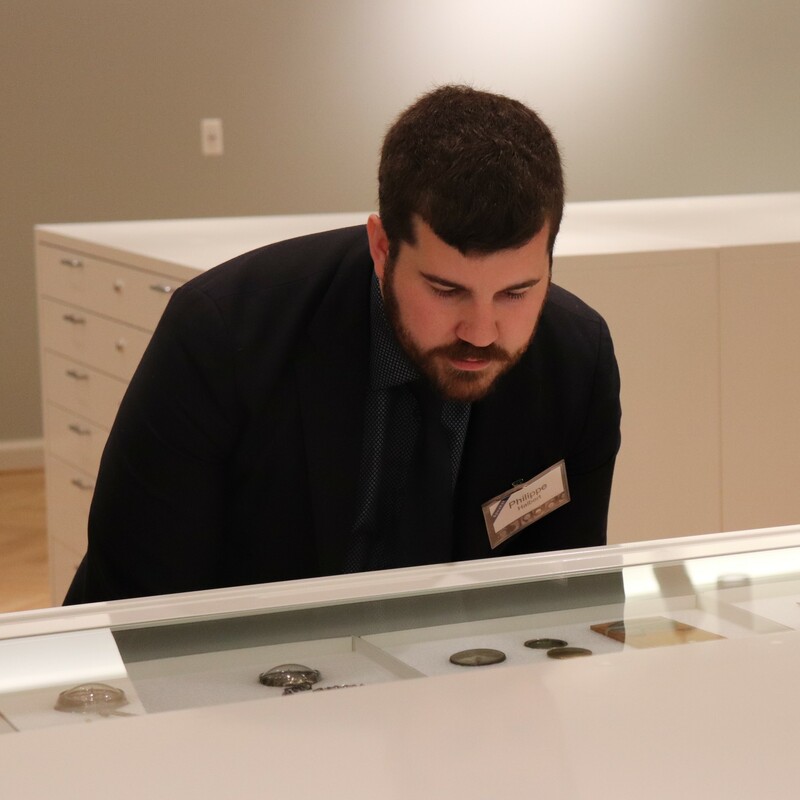 You are probably familiar with museum exhibits: they are built around a central theme—an artist, or time period, or decorative style, for example—and include detailed labels and supporting materials. A study gallery is different; it is more like an open storage area, allowing visitors a greater degree of access to the collection. This makes it an ideal place to exhibit objects that would get “lost” in the period rooms: miniature paintings, jewelry, and other tiny things that you wouldn’t be able to see from the doorway. Now you can examine them up close and personal! Most of the objects in the study gallery are in drawers. This creates a challenge to the museum, as we had to protect the objects from vibrations when the drawers are pulled in and out. 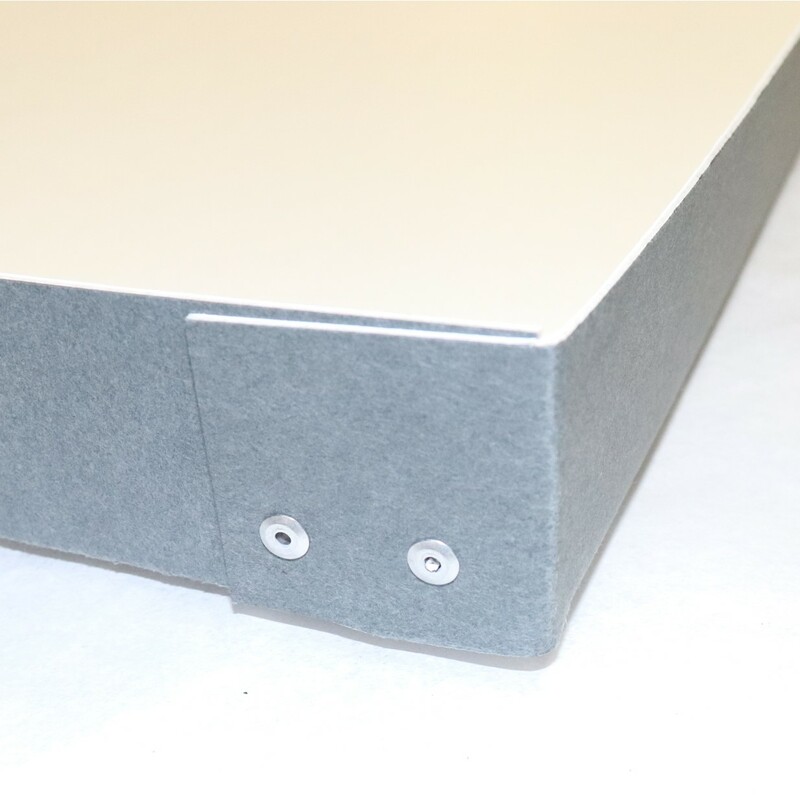 We custom-made drawer inserts out of archival paper board, fastened at the corners with aluminum blind rivets. We lined the inserts with archival polyethylene foam. (“Archival” means it is pH neutral and stable long-term, so it will not decompose like other foams or papers.) We then used a technique called cavity packing to nestle the objects into the foam; if you have ever ordered a delicate item to be shipped to you, it may have been cavity packed for shipping. Now when you pull out the drawer, everything stays put. What goes into the study gallery? Our curators selected a wide range of objects: not just the exceptional, but also the everyday. We wanted a good sampling of everything in the collection, which includes sensitive objects that cannot remain on exhibit for long. Textiles are a good example: they are susceptible to damage from light. The drawer system in the study gallery allows them to stay out of the light except for a few minutes when someone is looking at that particular object. In this way we can protect the object but also give as many people access to it as possible. The objects will still rotate in and out of the study gallery, both for their preservation and also to give you a chance to see a greater range of the collection. In the study gallery, you have the museum database at your fingertips. Not only is it searchable online from your home, but it is also available via a computer in the study gallery. Each object has a unique number in the museum’s database; that number will be next to the object, so you can look up the database information for everything there. A study gallery does not contain custom-written labels for each object like you will see in the main gallery; this allows us to fit more objects into the space and to rotate them more frequently, while access to the database gives you plenty of information about the date, artist, materials, and other important facts about the object. The renovated DAR Museum Gallery opens next week, so we hope you will take full advantage of the study gallery the next time you are in the building!